A beautiful ecru cotton nighty with all the lovely detailing April is know for. 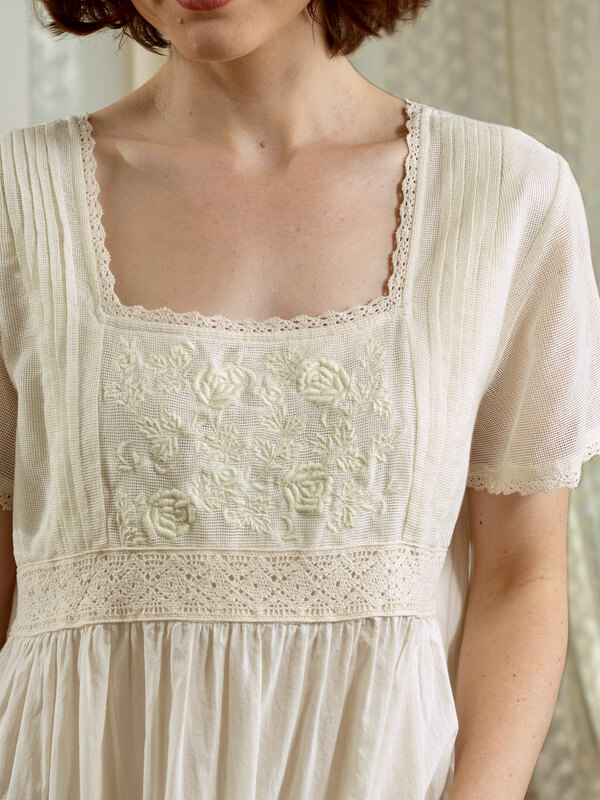 The Clothilde showcases an exquisite layer of embroidered cotton net on the bodice that's framed by crochet trims, petite pleats and a stunning lace inset. Light gathers below the waist release to a comfortable free flowing from.